1. A decorated cubic vase I received as a guest prize a friend's wedding; you can use any size/make/colour container and decorate to your liking. 2. Large plastic roses we got as prizes from playing 'Dreamland' at an arcade in Japan (yes, I brought those pieces back just because they looked pretty). These are going to provide the strong hold the brushes need. 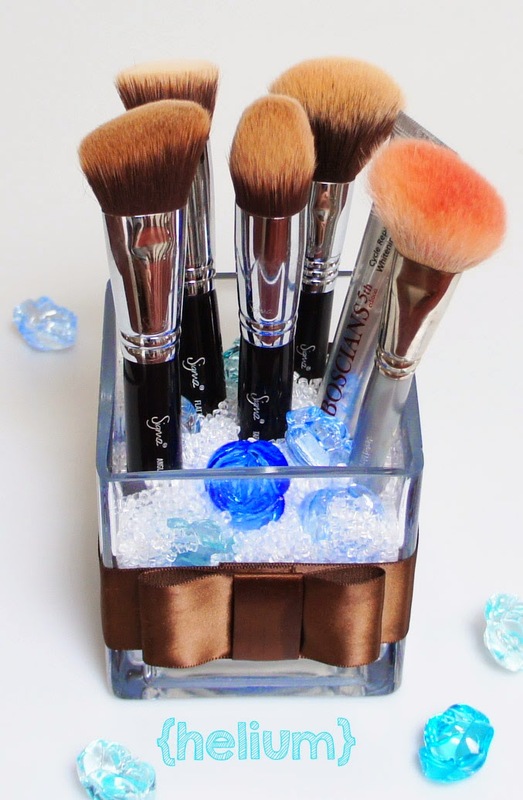 The end-goal for this brush-holder is to look chic and hold all four of my chunky Sigma Sigmax brushes without them falling over in all directions. I experimented a bit and quickly realized that I had to layer the large beads with the fillers alternatively like making a layered cake. 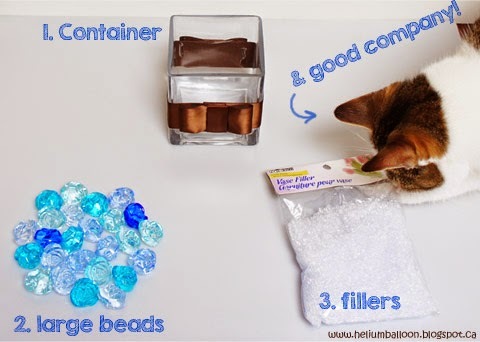 ✤Scatter large beads/pieces randomly so brush handles can poke all the way through. ✤Fill the container up to any height of your liking -- the higher the filler, the sturdier the hold. 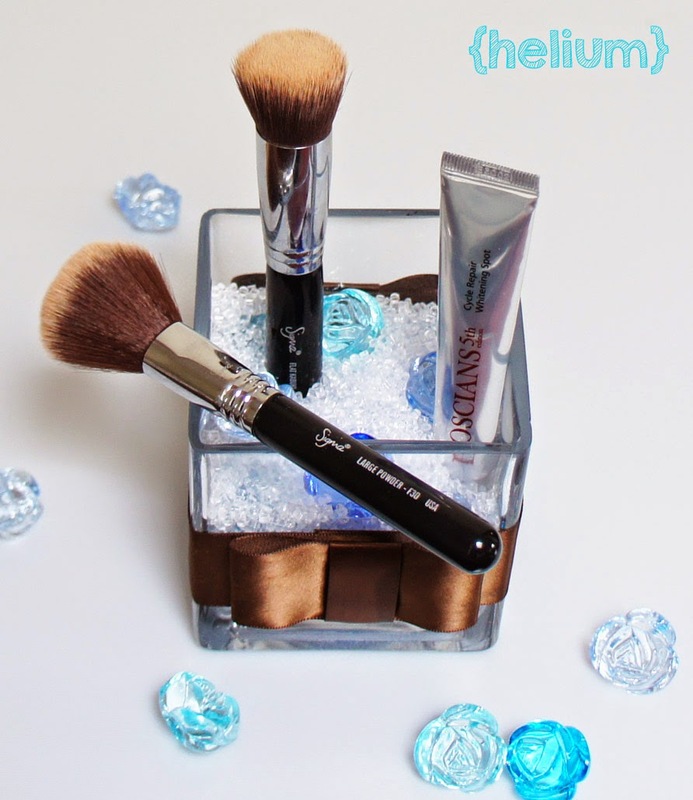 However, fuller containers may lead to chances of spillage when you insert/remove your brushes. Adjust according to your use. and so does my spot corrector!